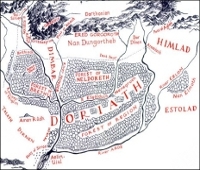 Location: The large marshy area where the river Aros joins the Sirion southwest of Doriath and north of the Andram and the Falls of Sirion. 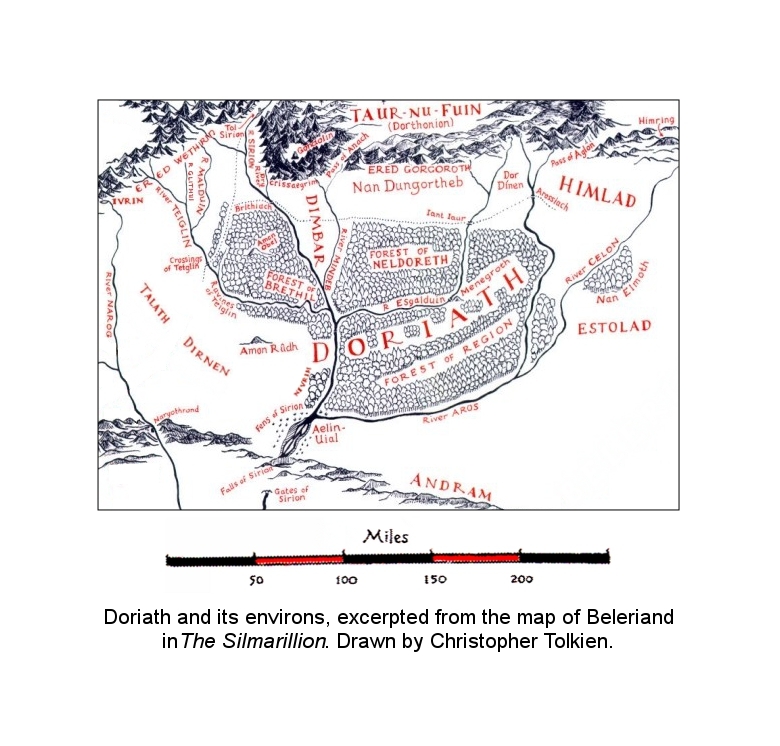 Doriath, showing Aelin-uial, the Fens of Sirion. Therefore Mablung led her to the Twilit Meres. There amid creeks and reeds ferries were kept hidden and guarded on the east shore; for by that way messengers would pass to and fro between Thingol and his kin in Nargothrond. Now they waited until the starlit night was late, and they passed over in the white mists before the dawn. And even as the sun rose red beyond the Blue Mountains, and a strong morning-wind blew and scattered the mists, the guards went up onto the west shore, and left the Girdle of Melian. uial 'twilight' in Aelin-uial, Nenuial.